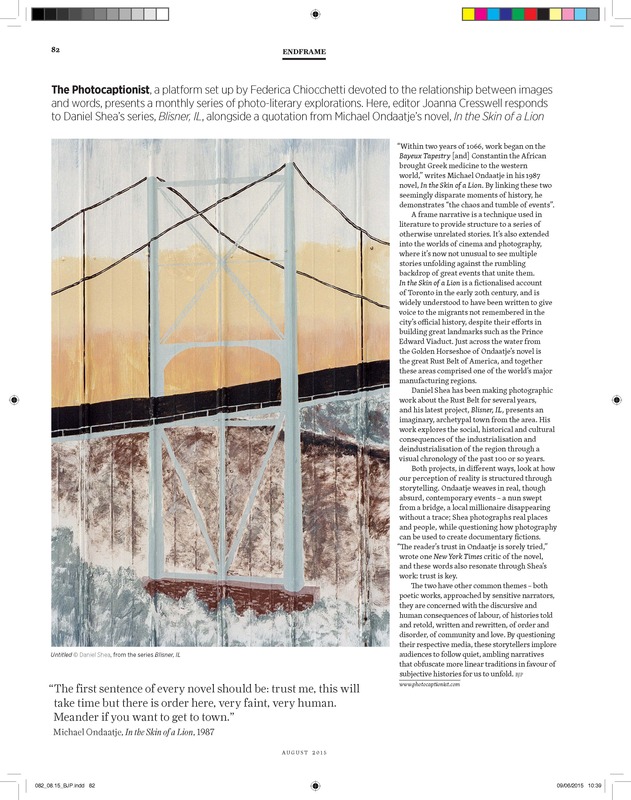 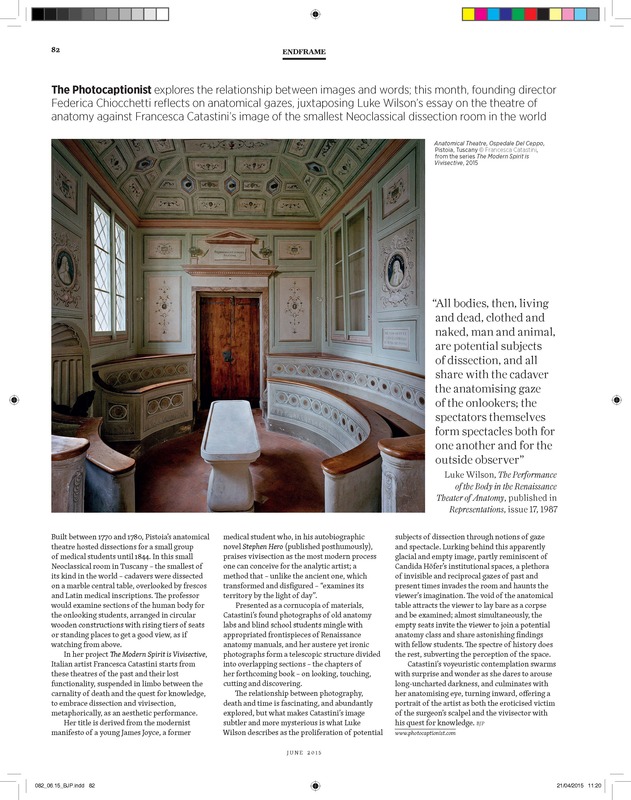 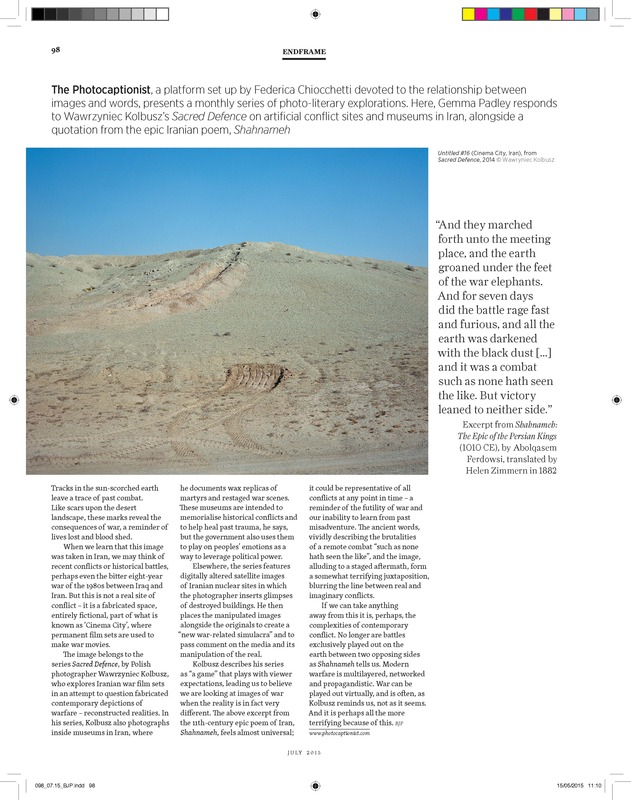 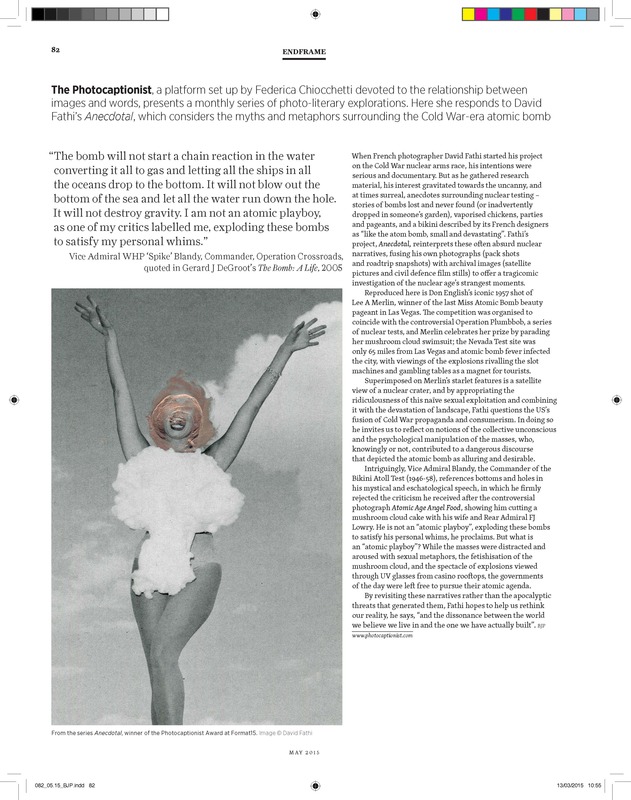 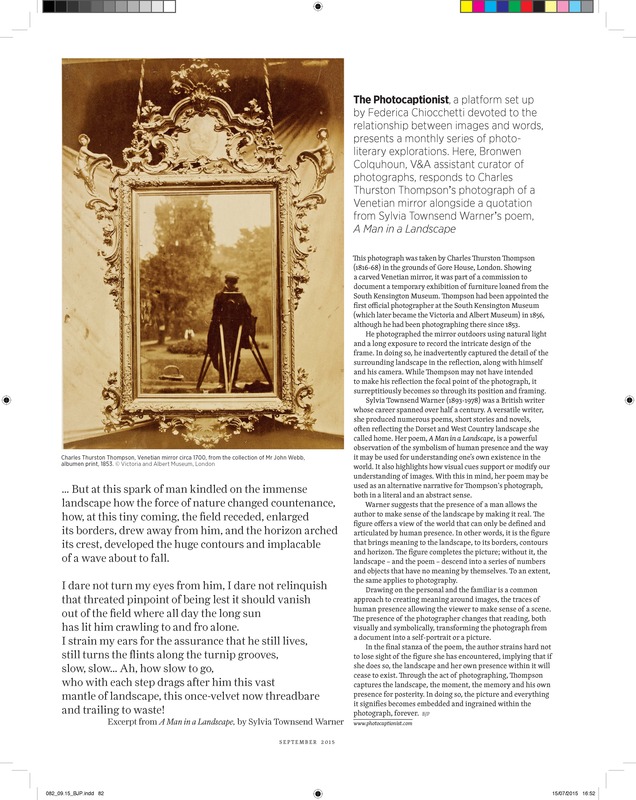 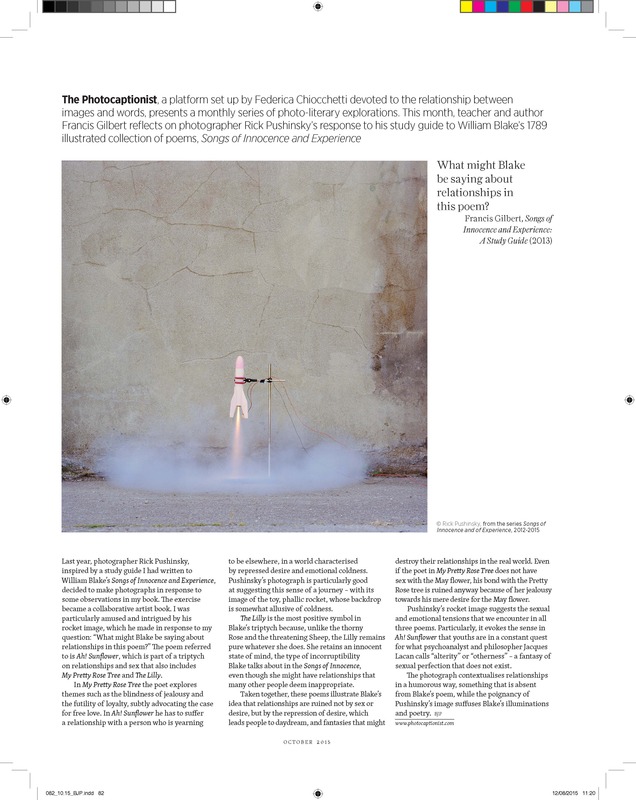 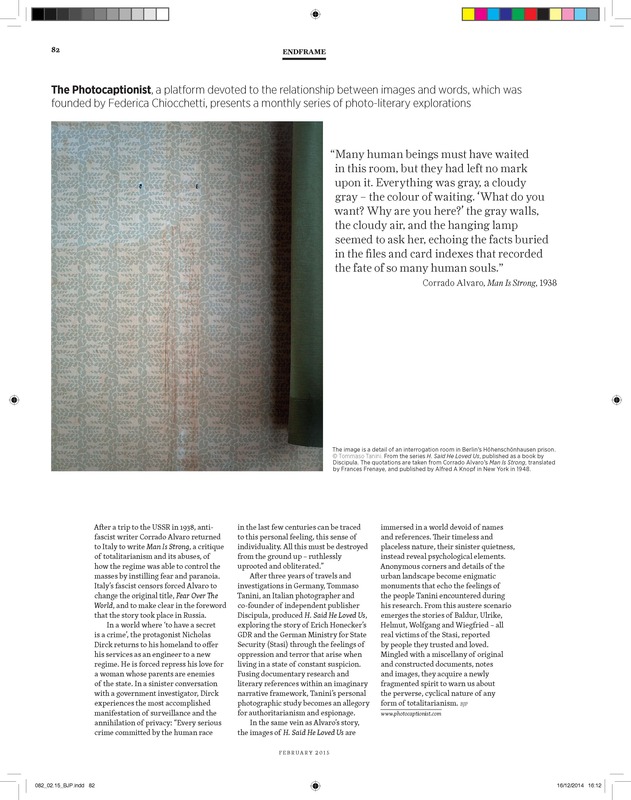 In 2015 the Photocaptionist edited for the whole year the endframe column of the British Journal of Photography, the world’s longest-running photography magazine, established in 1854. 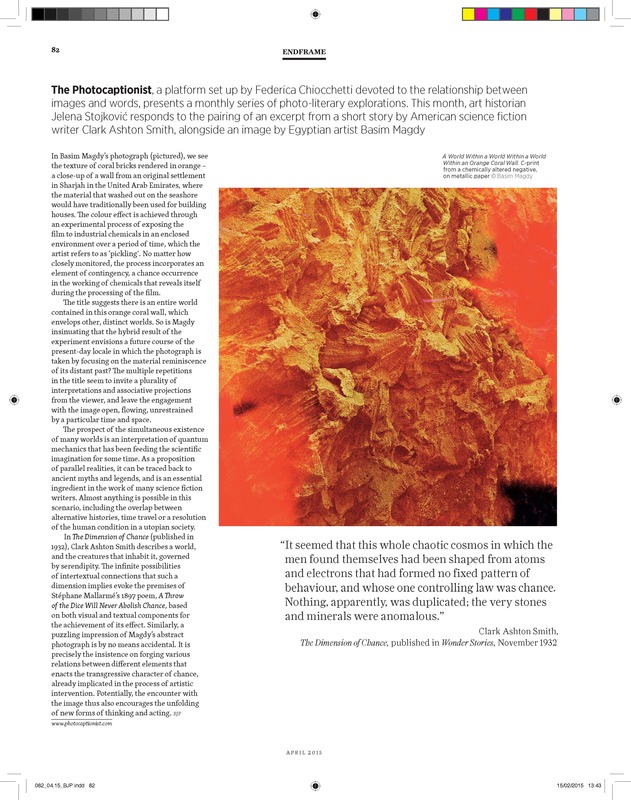 We presented a monthly series of photo-literary explorations, inaugurating the collaboration with the project H. said he loved us by Discipula collective member Tommaso Tanini, presented in the Ones to Watch issue (February 2015). 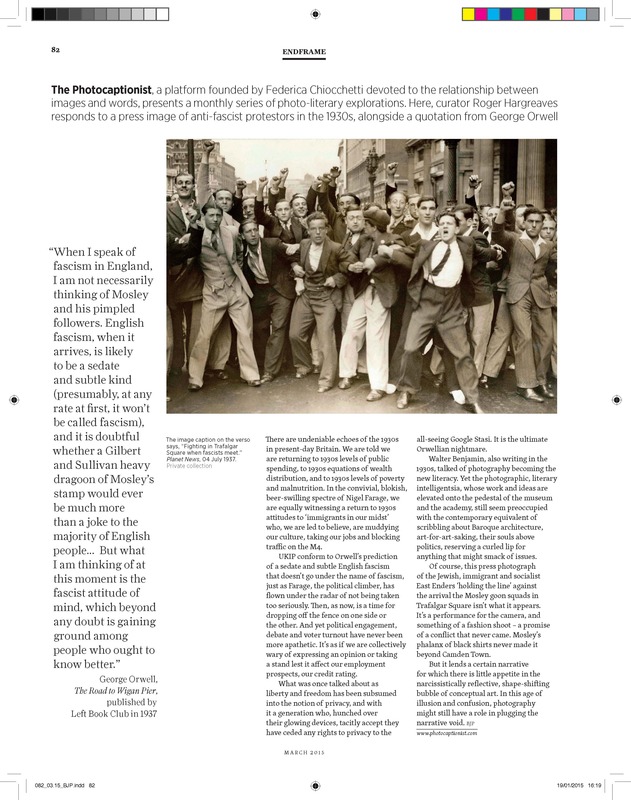 In the March issue we invited Roger Hargreaves to be the Photocaptionist and he paired a press photograph of anti-fascist protestors in the 1930s with an excerpt from George Orwell’s The Road to Wigan Pier, published by Left Book Club in 1937.